This FAQ addresses some of the questions and comments we received from Mississippi Coastal Cleanup volunteers who registered online and participated in our online registration survey. If you have a question that isn't addressed here, please send it to us via the contact us page. Q: What are the potential hazards of cleaning up marine debris? A: Marine debris could have sharp edges, so we recommend wearing gloves for pickup. Although extremely rare, marine life could potentially cause harm. Some best practices for avoiding harm from marine life include wearing foot protection when wading in the water to avoid cuts and scrapes from shells, shuffling feet to avoid stepping directly on cryptic marine life, and avoiding seawater (and all materials that have been in contact with seawater) if you have open woulds or a compromised immune system. Q: When does the Mississippi Coastal Cleanup usually take place? A: The Mississippi Coastal Cleanup takes place every year on the third Saturday in October. This annual event is a part of the Ocean Conservancy's International Coastal Cleanup Event, and all data collected gets sent in and entered in the world-wide data pool! Q: How will you inform volunteers of any changes to the event? A: Visit our Facebook page for the most up-to-date information. You can also help us get the word out. Mention the cleanup to your friends, co-workers, classmates and family. Q: When does the cleanup start? A: Registration on cleanup day will start at 8:00 a.m. Site Captains will be stationed at each cleanup site in bright yellow T-shirts to direct you to your cleanup area and give you supplies, such as trash and recycling bags, and data cards to record the debris collected. Q: Will lunch be provided to volunteers? A: Yes. Thanks to the generosity of our sponsors lunches will be held at one site each in Hancock, Harrison and Jackson Counties for volunteers who participate in the cleanup and turn in their completed data card to the Site Captain (the person in yellow T-shirt at cleanup site's registration table). Check out the cleanup site map and registration form for more details on free lunches! Q: What is the Data Card and why is it important that I fill this out during the coastal cleanup? A: Volunteers clean beaches and waterways and report information on what they find, using the International Coastal Cleanup Data Card, so that sources of marine debris can be targeted for education or pollution prevention campaigns in Mississippi and worldwide. We mail the data cards to the Ocean Conservancy in Washington, D.C., where the data is tabulated. Over the years, data from the cleanups have been used to enact local, state, national, and even international legislation and agreements. 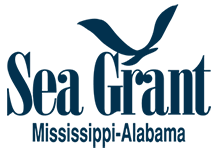 The results are posted on the Mississippi Coastal Cleanup and International Coastal Cleanup Web sites and are included in the International Coastal Cleanup Annual Data Report. Q: What supplies do I need to bring? A: The Coastal Cleanup Program Team provides certain supplies through sponsor donations, but volunteers should bring the following items: plenty of water; sunscreen and a hat to protect yourself from the sun; insect repellent; close-toed shoes or sneakers to protect your feet; a camera to document volunteers in action and any strange items you may find; work gloves or rubber gloves. Trash and recycling bags are provided at the site. Thin surgical gloves and a few cotton work gloves are available at the site, but we encourage volunteers to bring their own kitchen gloves or work gloves for greater protection. A small backpack will help the volunteer to carry extra water and trash bags, a camera, and other necessary items as well as any beachcombing treasures that are found during the cleanup. Q: Can participants from previous years be notified by e-mail about the event? A: Anyone who registered online last year will receive notification for the upcoming cleanup. If you would like to be added to our e-mail list, send us a message on the "contact us" page. Q: What if I want to clean an area that isn't on your list of cleanup sites? A: If you know of a public area that is unsightly and in dire need of being cleaned, contact your county coordinator and let them know about it. They will survey the site and consider adding it to the site list in the future. Q: Where should volunteers park? A: Limited parking is available at all cleanup sites, but we encourage car-pooling and arriving early to ensure closer parking. Q: What if we find something too large to move or that won't fit into the bag? A: First, remember to practice basic safety. Don't try to move something that is too heavy for you to lift comfortably, and do not try to move dangerous objects (such as a metal drum leaking an unknown substance). Inform your Site Captain—look for the bright yellow shirt—where you found the item and they will arrange for its disposal. Q: What do I do if I find a stranded or entangled animal? A: Notify your Site Captain immediately if you see any stranded, injured or entangled animals. Do not attempt to aid the animal yourself. This could result in injury to you or the animal. Be sure to also write this down on your Data Card noting the type of animal that is stranded and type of debris it is entangled in. Be sure and take a picture as well, as this provides visual evidence of the entanglement. Q: What do I do if I find hazardous waste? A: Stay away from large 55-gallon drums or five-gallon buckets with intact lids. Report their location to the Site Captain or proper authorities. Do not touch any hazardous waste, and notify your Site Captain if you find items such as: car batteries, tires, syringes and needles, medical waste, and full bottles of disinfectant, chlorine bleach, household cleaners, herbicides and insecticides, or motor oil. Q: I would like to help year-round. Are there other cleanup efforts along the Coast that I can participate in? A: Yes. The Coastal Cleanup Program Team can supply you with supplies for year round cleanups. So grab a group of friends and contact Mandy Sartain for more information; amanda.sartain@msstate.edu.